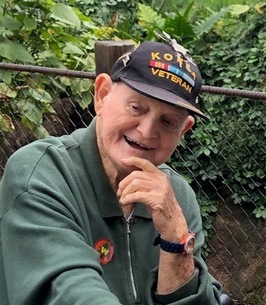 On April 9, 2019 heaven gained another angel, Phillip Ison “PI” Johnson, 87, of Satellite Beach, FL. He was born in Camp Hill, AL. on May 28th, 1931 to the late Thomas and Mary Lou Phillips Johnson. He is survived by his sister Betty Jean Parrish (Larry) and also preceded in death by his siblings, Ethel Baker, O’Neil Johnson, Paul Johnson, Sherman Johnson, Kate Walters, and Ruth Johnson. Survivors include his loving wife of 63 years, June K. Johnson; daughters, Mary Annetta Johnson, Jennifer (Jim) McDaniel, and Patricia Lynne (Mario) LeBel; grandchildren, Scott and Matthew Conn, Jesse Rose McDaniel, Justin (Ely) and Nathan LeBel; great-granddaughter, Layla LeBel, and a large loving extended family. PI attended school in Valley, AL and graduated from Livingston State Teachers College in 1958. He honorably served his country in the United States Army during the Korean War and was a member of the American Legion. He then went on to teach school in Georgia and Florida. He was selected as the first Brevard County teacher of the year in 1965. As an educator, he enjoyed teaching and serving at his beloved Creel Elementary School in Eau Gallie, FL. PI held many different jobs, during his working career, starting with the cotton mill in Valley, AL then the Ford Motor Company in CA, and on to RCA/General Electric in the Aerospace industry, supporting Kennedy Space Center at Cape Canaveral. In retirement, he spearheaded many activities in his hometown of Valley, AL where he enjoyed working with his fellow classmates and friends to organize the Shawmut Class Reunions. He loved “the Circle” in Shawmut where so many activities took place from softball games, a basketball court, checkers, and marbles. An ideal place to grow up in! He was one of the “Children of the Circle”. In life, we meet a handful of people who truly touch our hearts in a way we never expect. PI was a smart man full of stories, songs, laughter, wisdom, and advice who often was found on the baseball/football field coaching, lending a hand, or organizing teams. He loved his family and dedicated countless hours to his girls by coaching, chaperoning band trips, planning camping trips, and even served as Santa for the RCA Management club. PI didn’t stop at being involved in his daughters’ lives. He made sure to be involved and guided his grandchildren through their adolescent years. He always said he wanted everyone to work their hardest to be the best they could possibly be. His smile truly could light up a room. May PI light our way through all our journeys and be our guardian angel, as he lives on in all of us, through the memories and achievements that lie ahead. May you Rest In Peace. Funeral services will be held on Monday, April 15th, 2019 at 3:00P.M. EDT at the Johnson Brown-Service Funeral Home chapel in Valley with interment following in the Shawmut Cemetery. His family will be receiving friends at the funeral home on Monday from 2:00P.M. EDT until the service hour. Please visit his Memorial Tribute page at www.johnsonbrownservicefh.com to leave a condolence for his family, share a memory of PI, or to light a Remembrance Candle in his memory.